During the first backup with the BackWPup setting synchronize file by file to destination, BackWPup copies all the files that shall be backed up uncompressed into a folder of your backup destination, for example Google Drive. When backing up data the next time, BackWPup backs up only those files into the folder which changed since the last backup. 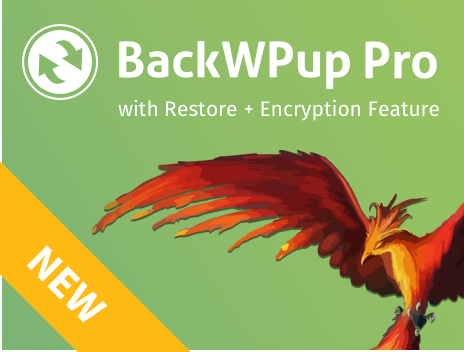 In case you back up the database too, BackWPup always transfers the database completely. In comparison to the backup type backup archive, this setting causes that only the changed files are backed up. This speeds up the backup process. Moreover, the backup is uncompressed. This feature behaves like incremental or differential backups. When you create a new backup job, choose the backup type synchronize file by file to destination on the general settings site.Imagine you made the first backup with BackWPup Pro on Monday. Then, the tuesday backup will only back up the data which changed since Monday (synchronize file by file to backup destination). Job “Synchronize file by file to destination” started. The Wednesday data backup will only overwrite the data which changed since Tuesday and so on. There is no file compression as zip achive, tar archive or other archive types. The benefit of this synchronisation is quite obvious: Less data need to be backed up. Therefore the backup process is faster.